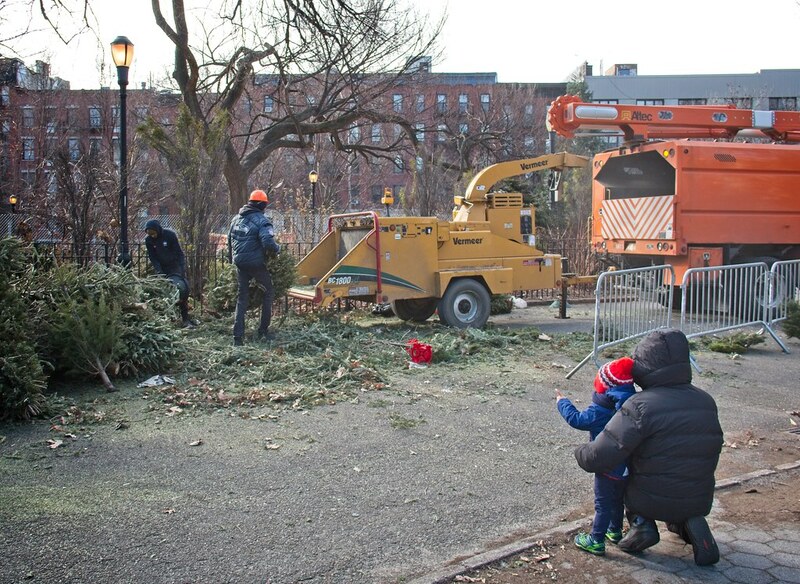 I attended my tenth annual Mulchfest in Tompkins Square Park this last weekend and it did not disappoint! 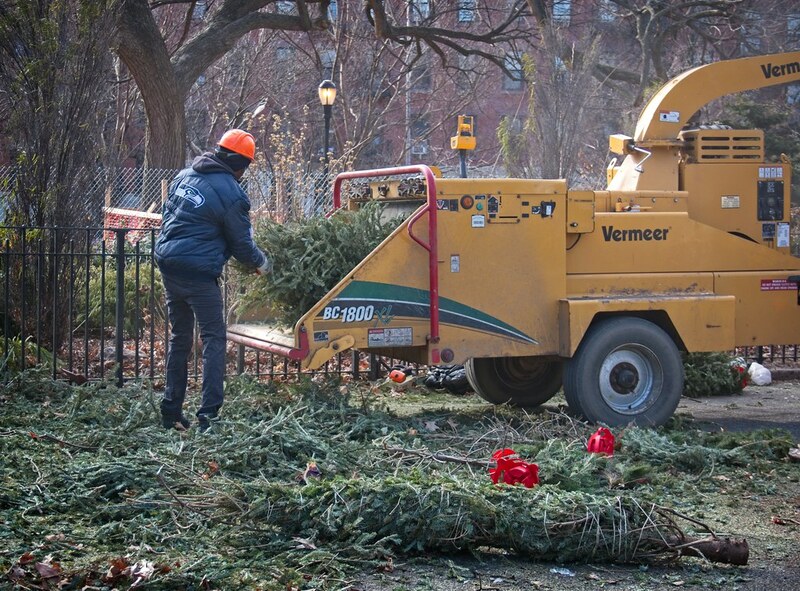 A crisp 25°F and bright sunshine Saturday morning made for perfect wood-chipping conditions, and as usual, the smell of minced Christmas trees was heavenly. 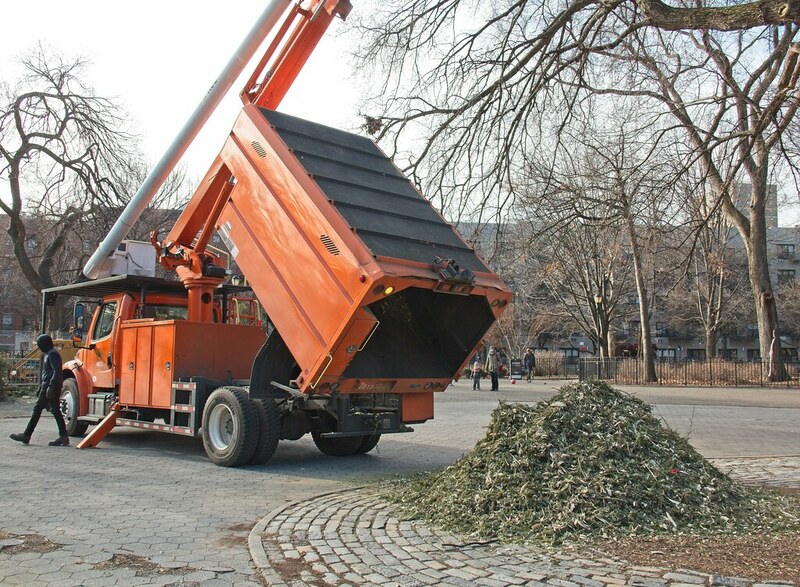 Workers from the NYC Parks Department were on hand to distribute bags so people could take home fresh mulch, which can be used in yards, tree wells and as a potpourri. 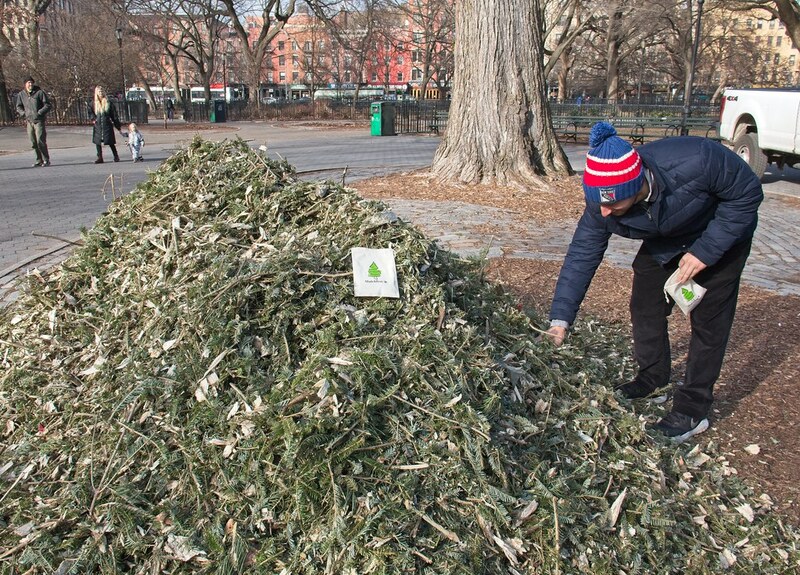 Last year, the bags were decorated with the NYC Parks Department logo, but I like the design this year, which features a Christmas tree. 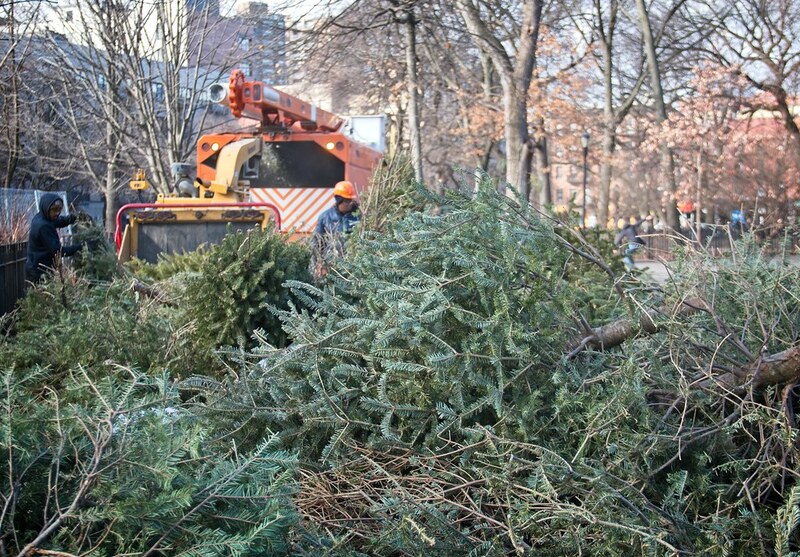 Enjoy the next few weeks in Tompkins Square as the scent of evergreens blankets the park. 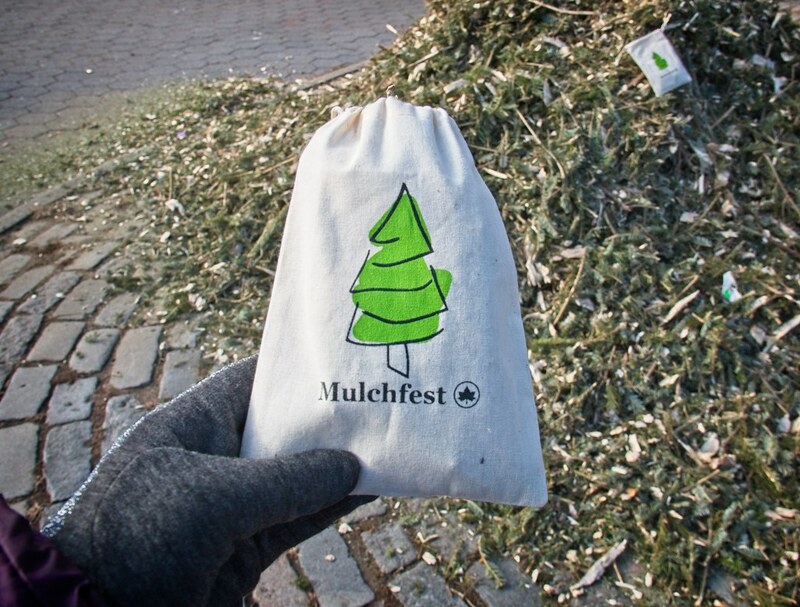 See previous Mulchfest posts here.